Christmas on a Steam Train! Looking for something different to do for your office Christmas party this year then look no further. 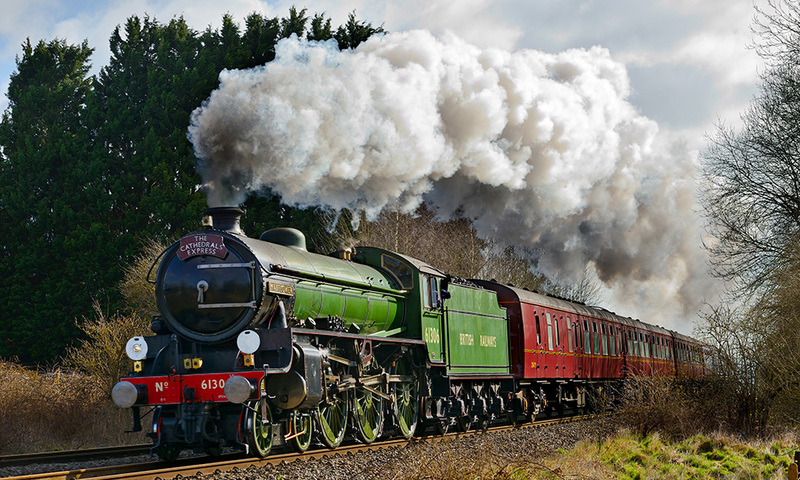 Steam Dreams Rail Co are offering unique packages on one of 8 different Christmas Steam trains travelling from various destinations in London and the South East to some of the most exciting Christmas markets with an eclectic array of gifts to inspire even the most hardened shopper! Alternatively you can visit a selection of stunning Churches and Cathedrals which will host some beautiful Carol services exclusively for Steam Dreams passengers. 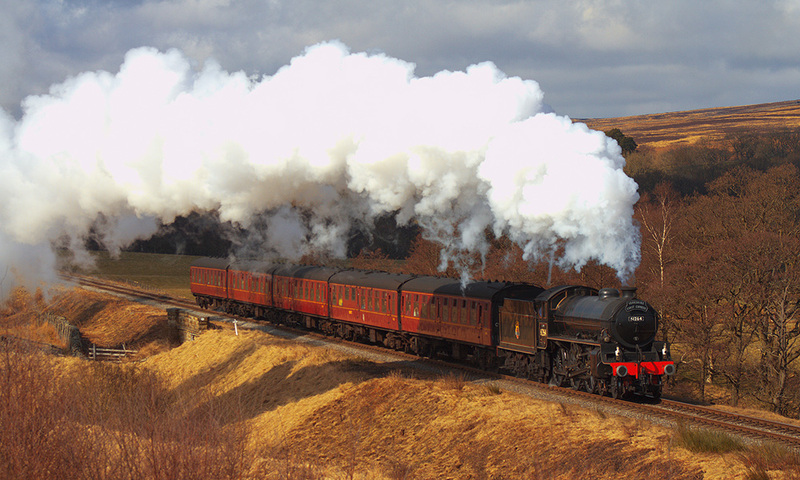 With various price brackets and choices of dining or non-dining there is something for everyone as you are whisked away for magical day out by steam train. You can book a whole carriage or just a table for 4. With elegant 1950’s or 1960’s carriages, wood-panelled walls, table lamps and curtains, combined with our most comfortable seats and the highest level of service, the atmosphere in Pullman Style Dining evokes memories of a bygone era. Passengers will be welcomed on board with a glass of champagne accompanied by morning pastries. This is followed by a delicious Full English breakfast or brunch. 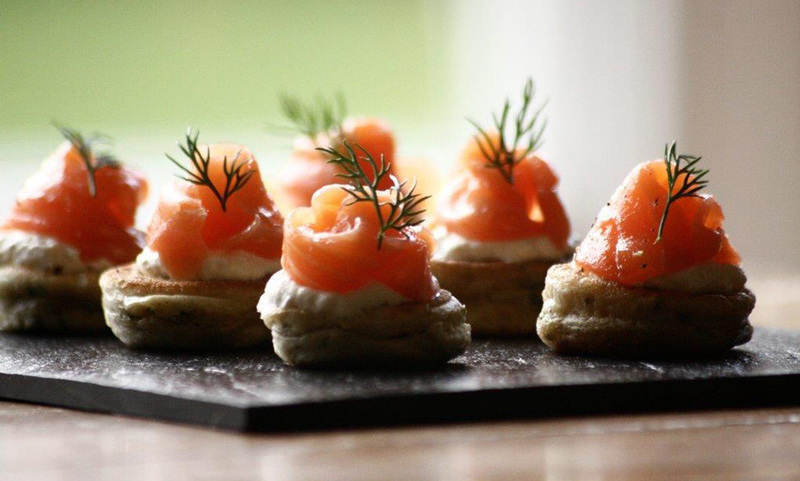 On the return journey you will enjoy a sumptuous 4 course evening meal with extra touches like canapes and half a bottle of wine per head. Comfortable 1960’s Restaurant Cars with wood panelling and large picture windows await you in Premier Dining. Once on board you will receive a glass of champagne and pastries and either a delicious Full English Breakfast or Brunch. On the return journey you will enjoy a tasty 4 course evening meal. Passengers are seated in compartments for up to six people or in 1960’s open carriages at tables for four. Champagne and orange juice are served shortly after boarding along with tea and coffee. Homemade cakes or biscuits are served on the return journey. Passengers are welcome to bring their own picnic and drinks on board or can purchase from our on board snack menu. Seating is in 1960’s open carriages with large picture windows. The carriage has individual seating around tables for four laid with white linen tablecloths. You are served complimentary tea or coffee at your seats. Passengers are welcome to bring their own picnic and drinks on board or can purchase from our on board snack menu. Prices: Pullman Style Dining £269 pp | Premier Dining £209pp | First Class £159pp | Premium Standard £109pp. Journey: Departure from West Brompton (London), Clapham Junction (London), Redhill (Surrey), Reigate (Surrey), Shalford (Surrey), Guildford (Surrey). Let the festivities begin and join us on our inaugural trip to Gloucester Christmas Market as we head out across the Surrey Hills to this award winning Victorian Christmas Market. Featuring over 40 traditional chalets selling high quality festive gifts you won’t find on the High Street. Join us behind Union of South Africa and let the train take the strain as you sit back and relax preserving your energy for a fabulous day out Christmas shopping in style at the wonderful Cardiff Christmas market. Named as one of the best Christmas markets you are sure to find some wonderful gifts. Prices: Pullman Style Dining £269pp | Premier Dining £209pp | First Class £159pp | Premium Standard £109pp. Travel in style to the lovely city of Bath for its award-winning Christmas market. Nestled between the historic Bath Abbey and the Roman Baths, the city centre is transformed into a shoppers paradise with 170 wooden chalets selling unusual gifts, decorations and food delicacies. 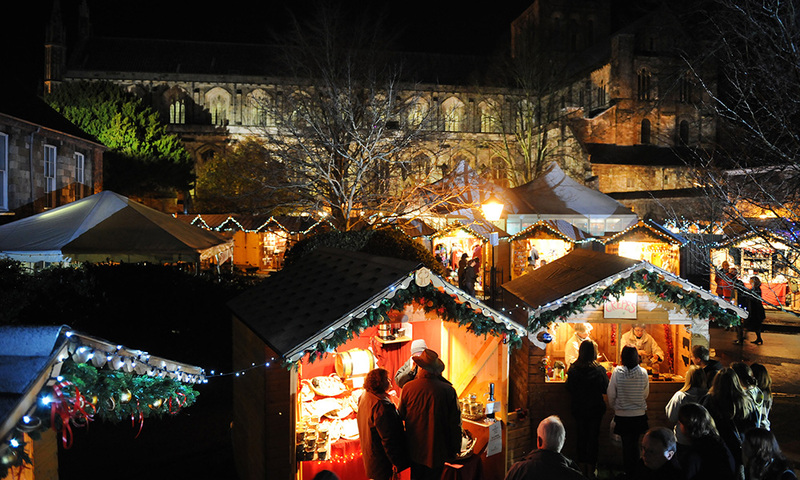 Enjoy the scents of mulled wine, the scents of entertainment, music and merriment as you soak up the atmosphere of this picturesque Christmas market located at the top of ‘Steep Hill’ in the medieval square between the impressive Norman Castle and the magnificent Gothic Cathedral. Enjoy a wonderful day travelling from London steam hauled as we make our way to one of three fabulous destinations. Blenheim Palace where you can enjoy a tour of the Palace which this year will have a magical theme. You can also enjoy an enchanting woodland walk around the illuminated grounds (£14 supplement). Alternatively remain on the train to the stunning city of Cheltenham and its fabulous Christmas market or continue on your journey to Worcester for a spot of shopping and mooching. Hauling us on our outward journey will be the newly restored B1 Mayflower steam engine as we make our way along the Watercress Line to the pretty market town of Alresford for a magical carol service at St John’s Church. Alternatively passengers can stay on the train to Alton where they will be transferred by a short 30 minute coach journey to the beautiful Cathedral City of Winchester where you can visit the Christmas market which is recognised as being one of the best in Europe. 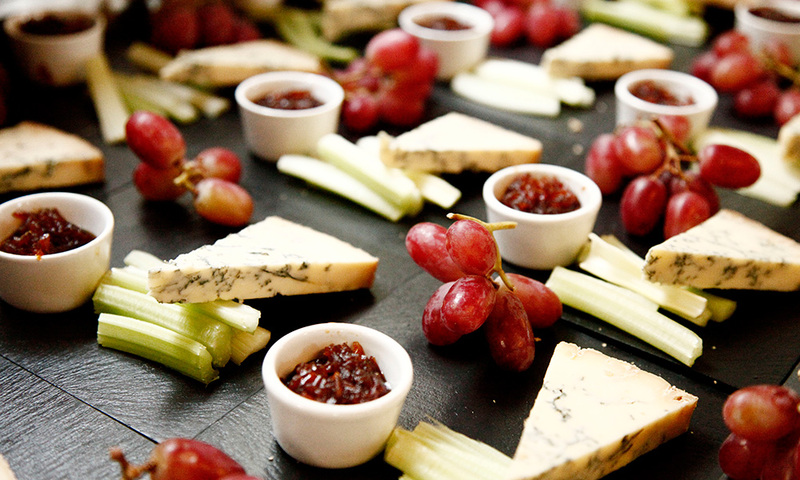 Prices: Pullman Style Dining £259pp | Premier Dining £199pp | First Class £149pp | Premium Standard £99pp. This unique itinerary takes us along the Watercress Line and through beautiful countryside of Hampshire and Surrey to Salisbury. Once there passengers can enjoy the wonderful Christmas Market that transforms the heart of this medieval Cathedral City into a winter wonderland with authentic German Market style wooden chalets and festive events. 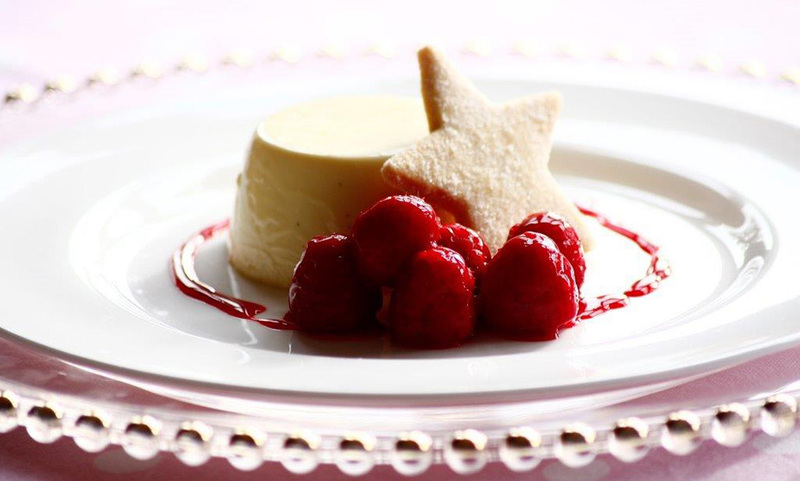 Prices: Pullman Style Dining £249pp | Premier Dining £189pp | First Class £139pp | Premium Standard £89pp. Start your Christmas week countdown on board our White Cliffs tour and sit back and relax and let our steam train take you around Britain’s South Coast. It is a perfect trip for those wanting to enjoy a leisurely lunchtime time trip to celebrate the festive season with colleagues.